Josh Munn, vice president for engineering and design at Munn Enterprises, has been selected as a member of the Mid-South Sign Association’s 2018 Elite Program class. 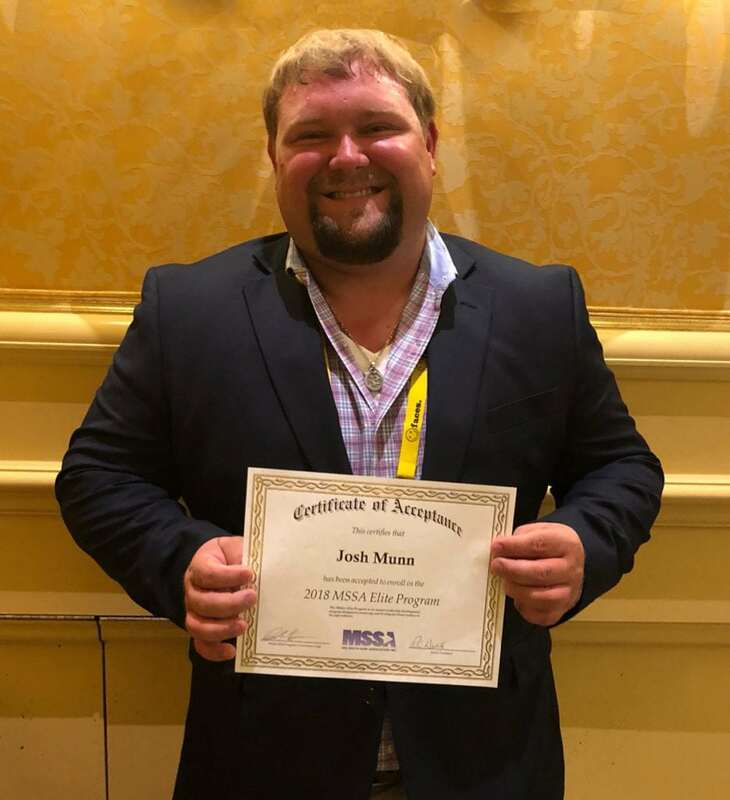 Munn was recognized as a new class member at SignConnexion, the MSSA annual conference, at the Beau Rivage Resort & Casino in Biloxi on July 20. The Elite Program is a leadership development class devoted to helping young leaders maximize their potential by learning advanced leadership and communication skills as well as serving as a primer for future leadership opportunities within MSSA, the trade association for sign companies in Alabama, Arkansas, Louisiana, Mississippi and Tennessee. Class members learn the history of the sign industry, the parliamentary procedures and governing structures of MSSA, networking skills, leadership principles, communication styles and team building methods. During their one-year class term, members must attend several training events and work as a committee on a project assigned by the MSSA Board of Directors. The program accepts five to seven participants each year from MSSA member companies. In order to be considered, applicants must submit an application and a 500-word essay. Munn, a native of Sumrall, has been employed at his family’s business since 2006 and assumed his current position in 2018. He is a 2009 graduate of Sumrall High School, a 2013 graduate of the Jones County Junior College civil engineering technology program and a 2015 graduate of the construction engineering technology program at the University of Southern Mississippi. Munn Enterprises is a leading manufacturer and installer of signs and other visual communications in the southeastern United States. Founded in 1981, the company remains owned by the Munn family of Sumrall and is headquartered in Hattiesburg.